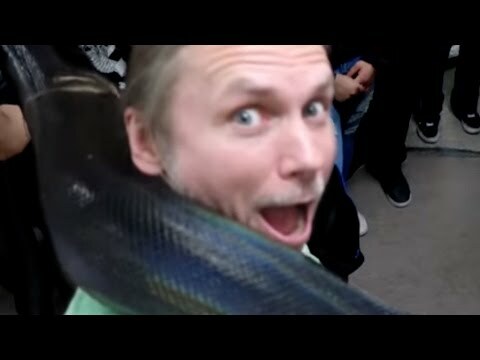 AnimalBytesTV - Watch Brian Barczyk as he plays with giant snakes like reticulated pythons and green anacondas. 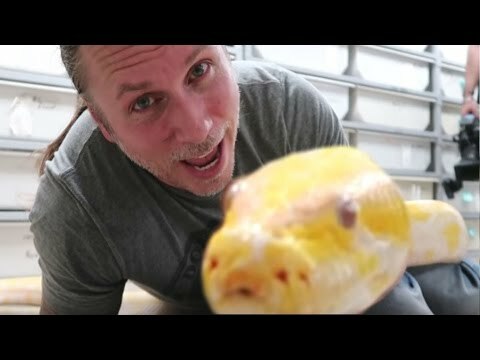 See the incredible collection at New England Reptile Distributors including lots of amazing reptiles and big snakes. 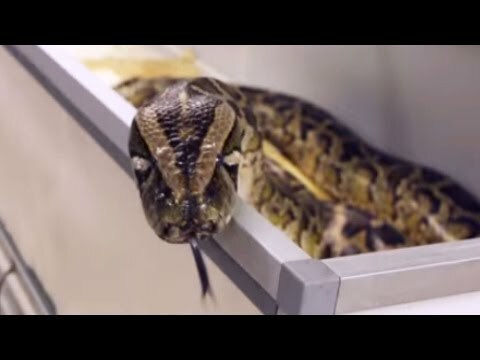 AnimalBytesTV - Brian Barczyk heads back to Prehistoric Pets to handle some giant snakes and feed an alligator, alligator snapping turtle and a monitor. 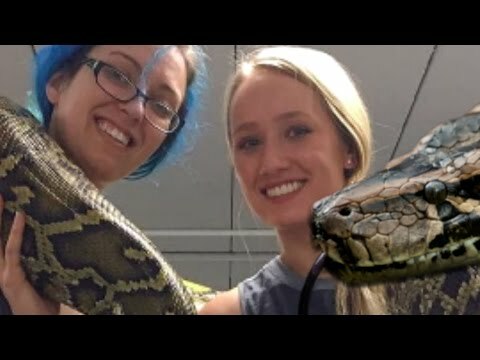 AnimalBytesTV - Watch as two of the BHB Reptiles’ girls (Kelsey and Andrea) wrangle and clean the enclosures of three giant pythons, Daisy, Satan and Lucy.